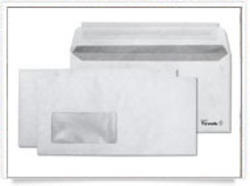 We are offering window envelopes with all sizes as per the requirement made from DuPont Tyvek. 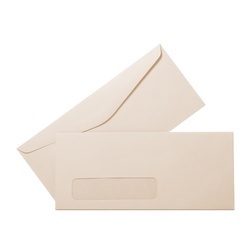 Quality Envelope & Printing Company has the best prices on window envelopes in the industry Window Envelope are the most popular envelope for business. Window envelopes are also referred to as "official" or "business" envelopes. With rich industry experience and knowledge, we are committed towards offering an excellent quality range of Window Mailers. Owing to the efforts of our procuring agents, we are able to offer a quality-oriented range of Window Envelopes. These are manufactured using premium quality craft paper and provided with small plastic film windows. The windows allow the address to be seen clearly by the receiver without tearing of the envelope. We also offer customization facilities for our envelopes.